The Point Roberts Historical Society started in 1981 with an informal meeting of local residents John and Linda Myrdal, Kris Manning, Pauline DeHaan, Jim Julius, Carole Viner and others. Out of that original meeting grew the Society. We established bylaws, a mission statement and incorporated with 501-c-3 status. Monthly meetings were held in homes and the Julius Realty office until regular meetings were held at the Community Center. Over the years we have been active in community activities by hosting the Townsite and Cemetery Tours, reunion lunches, participation in 4th of July parades, and our popular photo exhibit at the Arts and Music Festival. We also publish a bi-annual newsletter for society members filled with interesting stories, facts and a look back at our rich history. Most recently, the Historical Society assisted Whatcom County Parks with signage at Lily Point Marine Park depicting cannery history, as well as producing our own interpretive panel for the antique cannery equipment located behind the Community Center. As part of our fundraising efforts for an eventual museum, we have produced items for sale that included the cemetery booklet, historical cards, t-shirts, sweatshirts and posters. But our most important responsibility as a Society, is the gathering and preserving of local history for future generations. We continue to gather ‘Your Point Roberts Story’ from the community and the collection of stories will eventually be available in the local library. Society members have spent countless hours creating and manning various photo displays and artifact exhibits. Photos of heritage homes and the Judy Ross Abandoned House quilt series, as well as our newly acquired multi-panel photo display rack are featured in the back room of the Community Center. Volunteers also maintain the center’s hallway display case with seasonal rotating displays. The Society remains grateful to all the volunteers, the Point Roberts Park District for meetings and display space, the donated use of a storage unit and the generous donations of photos and artifacts from the community. Regular meetings are held on the third Wednesday of each month at 7 PM at the Community Center. We've invited the group to update this information, but haven't received it yet. Please mention it to them when you visit so we can improve our tourist and resident resources. Groups can also send in events and we will post them on the site and send them out on the Point Roberts Now facebook page and Twitter. Our mission is to promote awareness of Point Roberts by gathering and preserving local history for future generations. Thank you Community Sponsors for your year-round support of Point Roberts. Our work together to provide information to visitors and potential residents is vital to the long-term success of our community. PRBTC – Why are we by invitation only? Local? Add Your Information And Updates! Send in your information and updates free! 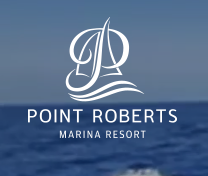 Do You Have Questions About Point Roberts? Contact us and we'll try to help!